When you decide to marry the partner of your dreams, it is important that your wedding reflects your values of love, devotion and promises. It is a joyous occasion when two people offer each other the highest form of commitment. It’s a celebration where family and friends come together to bless your union. Most people leave no stone unturned to assure that their wedding is etched in everyone’s memory as a happy event of a lifetime! Destination weddings are becoming increasingly popular as they lend an air of exoticness and magnificence to the marriage event. However, every destination offers a unique platform to host a wedding. The most important thing while selecting a destination is its cultural backdrop, as it becomes a cornerstone of the entire wedding. The authenticity of creating something regal comes from an original, authentic setting. The historical significance of Rajasthan combined with the majestic ambience that comes with a rich heritage and a celebrated culture helps in creating a spectacular show that doesn’t overlook any traditions. 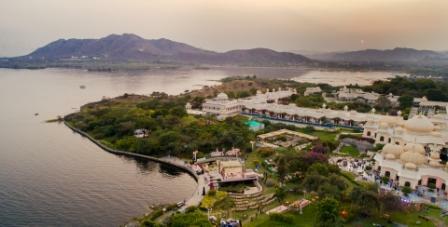 Udaipur has always been one of the most popular wedding destinations in India. It provides a royal splendour with its rich heritage while keeping the natural beauty and colours of Rajasthan intact. The stunning lake Pichola provides the most transcendent ambience for a romantic celebration. Udaipur also provides some fabulous venues in terms of grandeur and hospitality that are truly breath-taking. Tamarind Global has organized weddings in most of the beautiful properties around Lake Pichola – Udaivilas, Taj Lake Palace, Leela, Trident, Fateh Prakash, Shiv Niwas and also Fatehgarh, which is a little further away. Tamarind has expertise in handling grand celebrations with complicated movements to small luxurious private affairs. Winter brings out the beauty of Rajasthan, making the months from October to March the perfect time period to host a destination wedding. Europe with its rustic architectural edge offers one of the most romantic settings for a wedding. From the Hungarian countryside such as Budapest that is perfect for an exclusive and elegant affair, to cities like Vienna that exceeds every expectation with its characteristic venues that are at the same time big and small, imperial and civic, lively and calm, modern and historic. However, the thing that adds on the charm of Europe is its culture, which is a perfect blend of modern thinking and historical values. For some people, this makes Europe an irresistible destination for their wedding. 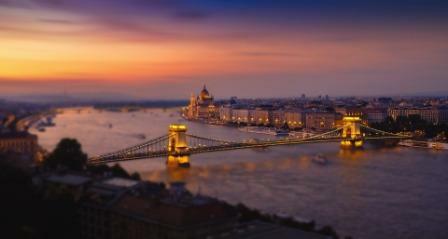 Europe is an amalgamation of such destinations that make for a truly memorable experience for your family and friends. Elegant ballrooms, beautiful terraces with panoramic views, stunning palaces, spotless beaches and lush green countryside- it is a full package of excellent choices. 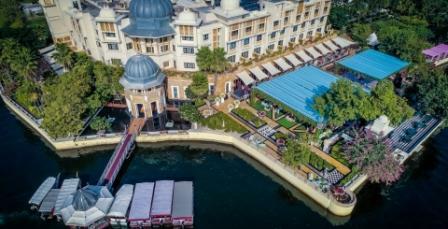 Multiple international and local hotels present in famous cities of Budapest, Vienna, Chantilly, Montreux, Florence, and etc. offer unlimited choices for a wedding of your dreams! Apart from this the external venues in themselves are so mesmerizing that there is little need to add on to the décor expense. Europe has a lot to offer as a wedding destination, with unlimited choices- you can choose to get married in the Hungarian countryside, a quaint piazza or a heritage castle- YOUR choice! For those who would rather have a summer wedding, but without the scorching sun blazing down from the sky, Europe is undoubtedly the best option. April to September are the best months to plan a destination wedding as there is less rainfall as compared to the rest of the year. For those looking for tradition with exquisite architectural beauty, Bodrum is where you should be headed. Also known as the St. Tropez of Turkey, Bodrum is a popular choice for destination weddings, especially if you are looking for a peaceful milieu on your special day. Great hotels, pleasant beaches, dependable infrastructure, and the presence of famous hotels such as The Mandarin Oriental, Kempinski, Caresse, The Bodrum Edition- all add on to make Bodrum a real wedding paradise. Beach clubs like Nikki Beach are also great to explore for weddings and its related events. The best months to host your wedding in Turkey are from May to October.